In episode 19 of the Alternageek podcast we talked about a new early beta of a service called SnapFoo.com. 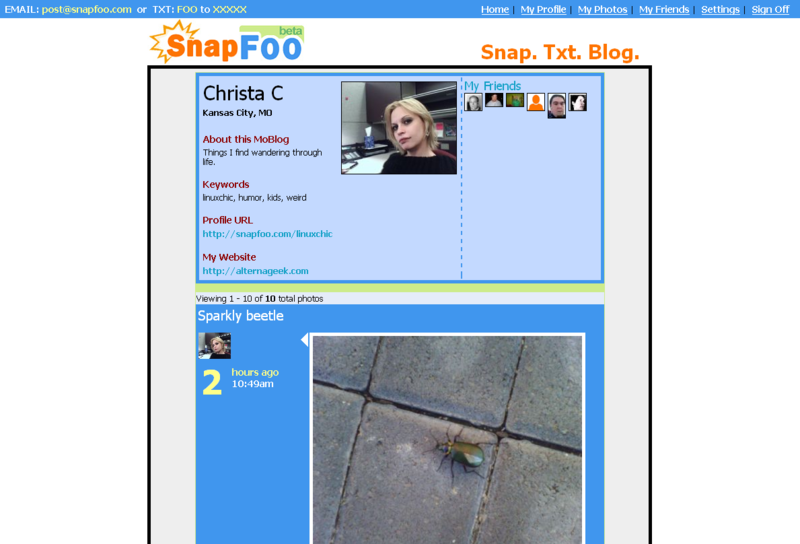 SnapFoo allows you to post pictures to an account much like text to Twitter. I have written a more robust writeup at Alternageek. If you would like to get an invite to SnapFoo.com’s early beta, send me an email or a direct message on Twitter with your email address and I will send one your way.